The City of North Charleston is one of the most supportive communities in the area when it comes to the arts. It is an inclusive community with a plethora of opportunities for artists year round. Their 32nd Annual Arts Festival is a banner example of the breadth and depth of art forms that North Charleston supports. “The variety of Arts Festival offerings and the inclusiveness of the event have really become a point of pride for the City of North Charleston,” says North Charleston Mayor, Keith Summey. Over the 32 years, this has blossomed from a one-day civic celebration in Park Circle to a 10-day festival featuring nearly 200 performances, exhibitions, events and more. Dance, Music, Theatre, Visual Arts, Crafts, Photography, Media Arts, and Literature will be featured at locations ranging from the Performing Arts Center and Charleston Area Convention Center to galleries, breweries, schools, theatres, parks and more. Meet the festival design artist Amiri Gueka Farris at the Sweetgrass Soiree! The evening’s lineup features a culturally diverse array of performers—from steel drum band The Island Trio, to Adande African Drum & Dance Co, to The Plantation Singers; party band Plane Jane to round out the evening. Gullah-inspired food and drink will be served, and Farris will sign posters, plus auction off an original work of art. Head to Frothy Beard Brewing for live bluegrass music from Mountain Express Acoustic, an accomplished group of musicians from Columbia, SC. Get a tour of the Frothy Beard digs, free of charge, from the owner. Order a pint of their suds for just $5. Sip on your beverage, indulge in some vittles from the Hello My Name is BBQ food truck, and enjoy your evening. The festival takes over the Performing Arts Center and Charleston Area Convention Center! For two days, there will be four stages with over 40 performances. Children will have plenty to keep them busy at the youth-oriented Exhibit Hall Stage, Creation Stations led by local artists, and Box City, where they can build their own cities! So much more to check out: the opening processional; arts and crafts vendors; antiques and collectibles show; roving entertainers; lowcountry gem and minerals show; and food trucks…this is the perfect opportunity to get the whole family out of the house and experiencing the arts together. The Park Circle Film Society and Laura Ball have teamed up for a night of silent films set to live music. Ball is an enthusiastic collaborator with a tremendous amount of talent. Ball will play piano to accompany screenings of silent films by Georges Méliès, whom the PCFS call “one of cinema’s greatest pioneers,” in the Olde Village Community Building, located in Park Circle. No one loves an Art Walk as much as Art Mag! The businesses of East Montague Ave will open their doors to local artists and visitors for this special evening. There will be music and dance in the streets along with live painting demonstrations through the evening. Some of our favorite artists have studios in Park Circle, and they’ll have their doors open for you. Don’t miss the outdoor murals, part of ChArt Outdoor Initiative. Then head to EVO Pizzeria for dinner. A perfect evening. Head back to East Montague Ave to dance in the streets! The Ocean Drive Party Band will surely be playing shagging music—it IS the state dance, after all. Stay for the Reggae Street Dance from 8:30 –10 pm! Who doesn’t love an excuse to dance in the middle of the street? Enjoy the beautiful view of the North Charleston Riverfront Park and take in all the arts at the festival finale. There will be steel drums, live poetry, African dance and drum lessons, hooping, children’s activities, and the Coast Runner Band will perform until 9 pm, when the festival will officially close with a blast—fireworks over the Cooper River! 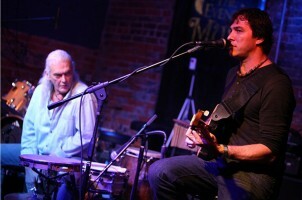 Visit NorthCharlestonArtsFest.com for a complete list of events, performances, and exhibitions. Posted in Mixed Media on April 24, 2014 (Spring 2014) by admin.